With the development of off-grid PV system, we pay more and more attention to the efficiency of solar panels. MPPT and PWM solar charge controller is more and more widely used because of its higher conversion efficiency than PWM controller. High efficiency, there are those characteristics? 1. 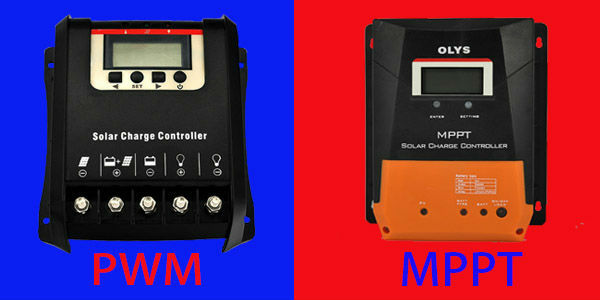 MPPT controller input solar panel voltage range greater. For example: PWM controller to 12V battery charge, the working voltage of solar panels is generally about 17.5V, so the highest efficiency, if the voltage is too high or too low are not appropriate. In the case of a 24V battery, the operating voltage is twice that of 12V, which means that the PWM controller requires that the operating voltage of the solar panel be fixed. MPPT controller is different, as long as the solar panel input voltage is less than the controller rated voltage can be charged. For example, if the maximum input voltage of a MPPT controller is 50V, a 12V or 24V battery can be charged as long as the input voltage is less than 50V, so the solar panel has a great choice and can be operated in series and parallel freely. General MPPT controller charging efficiency than PWM controller 10-30% higher, mainly in the same solar panel, can produce higher charge current. If the actual measurement, then the battery charging current will be greater than the current side of the solar panel. The PWM controller is the same current on both sides. MPPT uses the largest solar panel power tracking algorithm to ensure that solar panels can achieve maximum power generation efficiency under all conditions. The cost is higher than the PWM controller. So in some projects, what kind of controller also need to consider the cost-effective. be of any help to you. This article from OLYS Co., Ltd., reproduced please note source.